The newest MSC cruise ship is just days away from being christened in Genoa Italy. 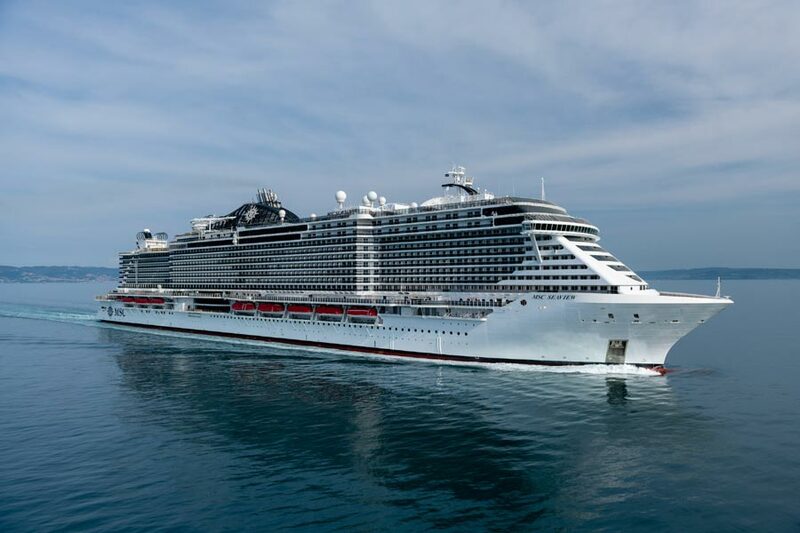 MSC Seaview is the second in its class and sister ship to MSC Seaside which joined the fleet towards the end of 2017. We’re less than 12 days away from welcoming the newest MSC cruise ship which is the second Seaside class vessel. A christening will be held in Genoa, Italy on June 9, 2018. The event will be hosted by Michelle Hunziker, born in Switzerland and now a popular star in Italy, the talented actress, TV presenter, model and singer. As usual, when it comes to christening MSC ships the godmother will be Sophia Loren who will perform the traditional cutting of the ribbon. Other celebrities attending the event include Lorella Cuccarini and the 50-strong children’s choir “Piccolo Coro Dell’Antoniano” who previously recorded the song “I Can Believe – MSC for UNICEF” as the soundtrack for the UNICEF awareness raising efforts on board MSC Cruises ships. MSC Seaview will feature the first Ocean Cay by Ramon Freixa, a luxury fish and shellfish restaurant that will offer a mouth-watering menu of dishes made with the freshest ingredients. Guests can try a sophisticated scallop ‘a la gallega’ with Iberian ham, fideuá of king crab and duck confit and roasted sea bass with rosemary salt. This will be the first restaurant at sea for the Spanish chef. The ship’s maiden voyage from Genoa will depart on June 7, 2018. This voyage will be a 3-night round trip including a call in Marseille, France. The ship will then begin week-long Meditteranean cruises from Barcelona, Messina and Genoa. The ship is 153,000 gross ton vessel and has a passenger capacity of over 5,000. The ship is being built by Fincantieri in Italy.